Islay Combination comprised the 4 parishes of Jura, Kilarrow, Kilchoman and Kildalton. The total population of the member parishes in 1881 was 8,520. Islay Combination Poorhouse was erected on a site to the east of Bowmore in about 1865. 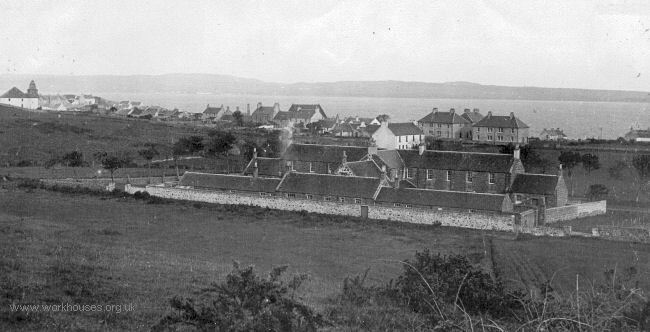 Islay poorhouse from the north-west, c.1905. Islay poorhouse from the east, date unknown. 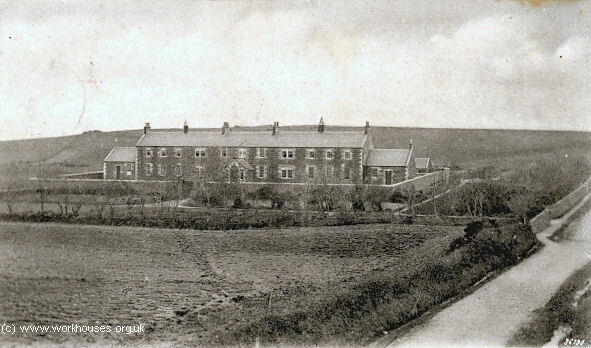 After 1930, the site became known as Gortanvogie House Poor Law Institution which accommodated 60 immates, including the provision of 10 medical beds. The site is now occupied by Islay Hospital and the Eventide Home. The original poorhouse buildings have all been demolished. Argyll and Bute Council Archives, Manse Brae, Lochgilphead PA31 8QU, Scotland. Holdings: Parochial Board Minute books (1846-1868); Poorhouse admissions and discharges (1865-1950); Finance Committee Minutes (1860-64).